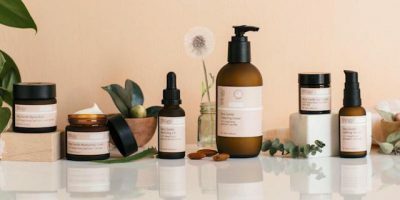 Powerfully Natural skincare brand Trilogy offers an efficacious collection of natural products to enhance every aspect of your skin, rendering this quartet an ideal gift. The Very Gentle Hydra-Mask nourishes stressed skin with sweet almond and maqui berry, the Very Gentle Eye Cream soothes tired eyes with aloe vera, the Very Gentle Moisturizing Cream is a moisturizing recover cream for daily use, and the Very Gentle Calming Serum (with a new, improved formula) hydrates with calendula. All of these products are ideal for sensitive skin, so this is an all-purpose gift. Order them now at Trilogyproducts.com. 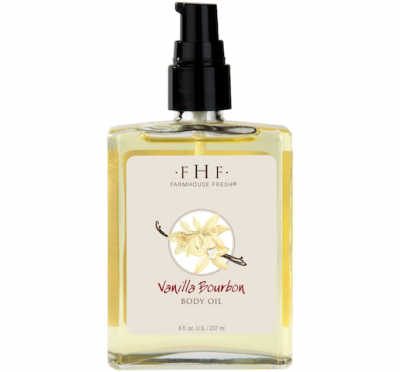 Farmhouse Fresh’s new Vanilla Bourbon Oil is every bit as delicious as it sounds, melding fragrance with vitamin-rich softening oil in a natural base. The Madagascar Vanilla smells heavenly, and the Texas-distilled bourbon adds a fantastic and unique twist. Add orange peel, grapeseed, olive fruit and jojoba and sunflower oils, and you have an all-time favorite fragrance/skincare product. Order it for holiday at https://www.farmhousefreshgoods.com. Massage this on to damp skin after a shower, and enjoy! Honestly Margo products are so sweet, and they’re natural, too! The Roller Girls lip roll-ons have a cool vintage ’70s feel and keep lips hydrated with lip-smacking grape and watermelon flavors. These are perfect for blustery winter days that take their toll on skin and lips because they’re so luscious and long-lasting. Ditto for the Tinted Lip Balms that come in flavors such as wine and cranberry. You’ll love the naturally-scented balm sticks for dabbing wrists and necks and other pulse points, which come in uplifting Clementine, soothing Lavender, and a Serenity Vapor Balm with refreshing eucalyptus. These are based in organic sunflowerm organic beeswax, essential oils and vitmains. Check out the wares at https://www.honestlymargo.com. Need something to take the chill off and throw back to summer’s sunny warmth? 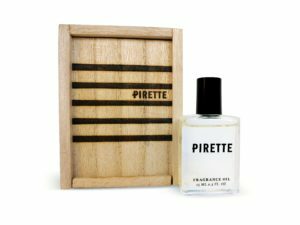 PIRETTE is the original surf-born beauty line from Newport Beach, CA — and their signature scent is formulated with the rich fragrance of fresh green coconut, sunscreen, and surf wax, resulting in a bottled version of that sun-washed feeling after a perfect beach day. All products are formulated by two co-partner moms, who only use non-toxic, phthalate-free, paraben-free, cruelty-free, and vegan ingredients. Find a luscious soy candle, Dry Body Oil, Fragrance Oil, Woman’s Trucker Hat, Beach Towel, and more at Pirettebeach.com, Amazon.com, as well as BeautyHabit, and in boutique, surf and resort retailers. In New York, find these amazing products at Mixology. 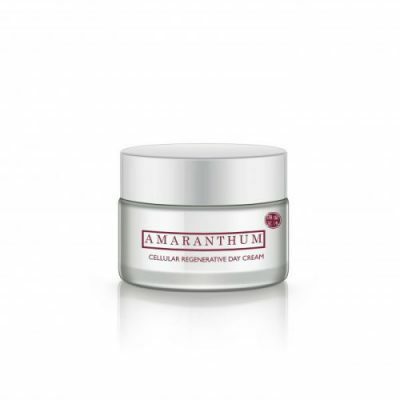 Amaranthum offers a dynamic duo of natural creams for both day and night, to combine for a nearly miraculous result. Best for sensitive skin, the night cream supplies nutrients to skin cells while you slumber, while the active ingredients in the day cream further enhances the nutrients in the night cream. If you love the aroma of skincare products, then this will thrill you because the herbal aroma of the products is truly heavenly. This is 100% natural, non-toxic, luxury skincare and an indie brand based in New York City. Probiotics and natural ingredients are harnessed to formulate skincare products, which achieve advanced solutions. Read more and order up at https://www.amaranthum.com. There’s no doubt that your mind, mood, anxiety level, amount of sleep, and relaxation level all affect the way you look, particularly your facial expressions, as you present yourself to others. So LILY CBD Oil is a great gift for anyone athletic who works out and has sore muscles, anyone who wants to relax and get beauty sleep, reduce anxiety, and fight inflammation (and more). Simply place a dropper-full under your tongue, or rub into your fingertips and joints for muscle relief, or add to tea, cocktail, coffee, wine, or a smoothie. 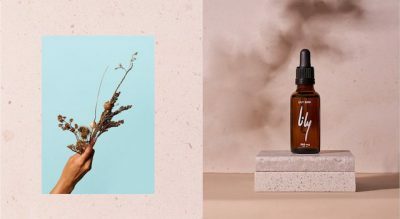 We recommend the Lily brand because they work with farmers who maintain organic practices just 100 miles from New York City for those healthy terpenes. If you have specific questions about CBD oil, reach out to Lily at [email protected], and order at https://www.lilycbd.com. 5% of all profits are funneled to charities that focus on helping children with autism, epilepsy & mental health issues.